This Game Pack #1 app includes 5 separate games ranging from 2 to 4 players with timer. 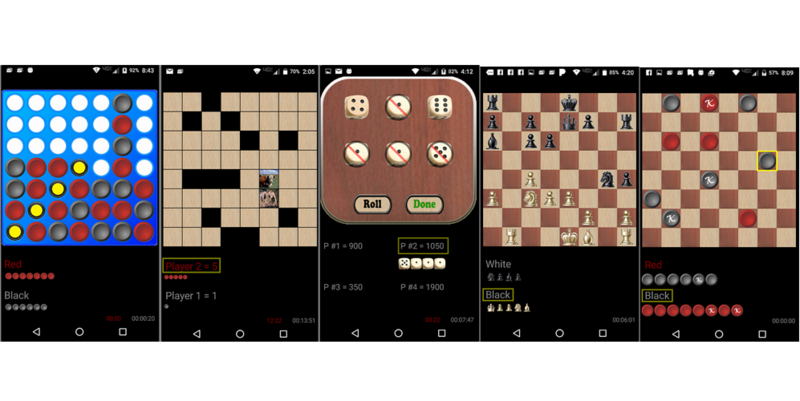 The included games in the pack are Chess, Checkers, CrossLink, MatchIt and Dice with the option to turn sound off for quiet playing. Now with bluetooth connections players can play across the room! These games are a great way to pass the time while traveling or waiting for an event or to play with spouse, kids, grand parents or grand kids!